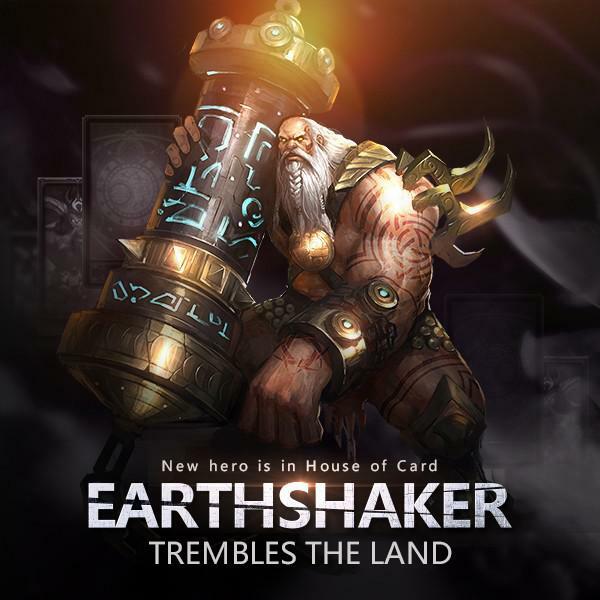 LoA_House of Card brings Earthshaker back! - You can swap the required cards for: Hecate Crest, Earthshaker Crest, Arcane Spirit Crest, Valkyrie Crest, Astral Hunter Crest, Lvl. 8 Cherubstone, Lvl. 7 Fusion Gem Chest, Lvl. 6 Fusion Gem Chest, Magic Socket Rod, Ruby Herosoul, Runestone, Lvl. 6 Cherubstone, Seraph's Stone, Element Crystal, Gem Essence, Topaz Herosoul, Blessed Stone, Refining Stone, Angel Tears, and Synth Scroll. - Total Ranking Rewards: At the end of the event, the Top 20 players with at least 10000 total points have a chance to win Seraph's Stones, Joker (L), Gem Enhancement Store, Lvl. 7/6 Fusion Gem Chests, Runestone or Lvl. 6/7/8 Common Gem Chests. Possible Prize: Card Lotto Voucher, Dragonslayer Shard, Seraph's Stone, Aegis Shard, Blessed Stones, Elemental Crystal. More exciting events are coming up through July 31 to August 3, check them out in the in-game How Events menu now!